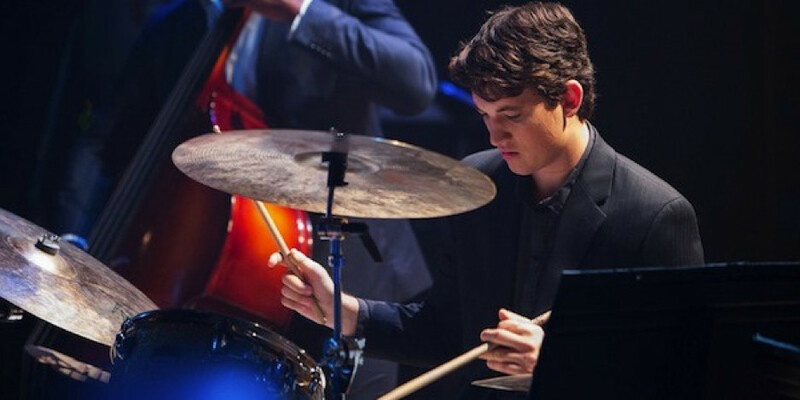 ‘Whiplash’ is what would define an electric kind of cinema for me. The much-needed jolt of energy and adrenaline, even inspiration for some, and a kick in the gut for creative professionals from all walks, much like ‘The Wolf of Wall Street’ was for the business and trading guys. Apart from surprising virtually everyone in the awards circuit when it released back in 2014, it can also be hailed as the film that put Damien Chazelle on the world map of the most promising filmmakers, a feat that was only cemented further when he became the youngest director to hold the coveted golden statuette two years later for ‘La La Land’. 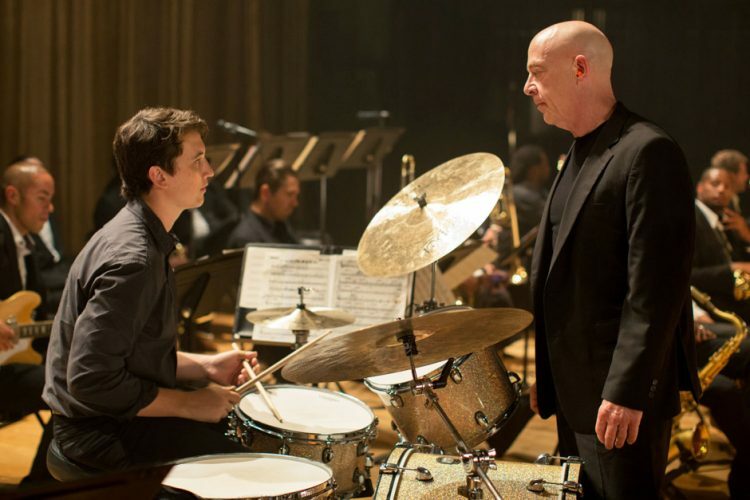 What makes ‘Whiplash’ a great film apart from obviously being an exemplar in film scoring, editing and writing, are the omniscient questions it raises about true greatness, whether it even exists in all its subjectivity, the path to its attainment, and pushing oneself beyond mental and physical extremes in the process. Might I also add that a single viewing of ‘Whiplash’ may just leave you too overwhelmed and charged up to even contemplate on these larger, overarching questions, but a second, deeper viewing will leave you in search of answers and more. Worse still, ‘Whiplash’ does provide an answer that is a dichotomy at best, but to me, that impresses upon the intelligent nature of the film, especially the ending. We discuss what that meant and more in the following sections. If ‘Whiplash’s ending doesn’t have you on the edge of your seat, your heart racing and your pulse in your throat, perhaps you were watching a different film. There will always be naysayers, but arguably so, ‘Whiplash’ has one of the best endings in modern cinema history. However, a few deliberate choices by the filmmakers have left some of it open to interpretation, and the very moral fibre of it comes under question with the kind of dichotomy created here. Let’s wind the clock to quickly recapitulate the ending and set the needle following Fletcher being fired from Shaffer conservatory after Andrew, under the condition of full anonymity and on discovering the cause of Sean Casey’s death, testifies against Fletcher for the abuse he suffered at his hands. After an unspecified period of time passes in the film, Andrew is shown having settled for a more comfortable life, having moved on from his passion of drumming and working at a restaurant. While walking by a Jazz club, he discovers Fletcher’s name in the list of performers and goes inside to see him perform out of curiosity. Fletcher discovers Andrew among the bystanders, and the two share a drink and a conversation that really is the point of the entire film. I will quote part of the conversation verbatim later to analyse what the ending meant while offering my own two cents on it, but for now, let’s progress with the plot. Following the conversation, Andrew is invited by Fletcher to drum for his band of professional players in the opening act for the JVC festival he was guiding that year. Naturally, Andrew accepts, and just before the beginning of the performance, Fletcher informs him that he was aware that Andrew was the one who testified against him that led to his dismissal, and starts off by cueing in a tune Andrew didn’t know. Realising he was being sabotaged, Andrew stays nonetheless, trying to improvise his act, but fails to keep and leaves, humiliated. However, with a steelier resolve, he returns to the stage, and interrupts Fletcher in the middle of his speech by playing ‘Caravan’, eventually cueing the band in. The two share looks of disapproval over each other’s actions, but as Andrew pushes himself and his performance progresses, Fletcher seems to warm up to him owing to the visible dedication Andrew was putting in and an incredible performance, and begins to guide the band. Guiding ‘Caravan’ to a finale, Fletcher is surprised to see Andrew still perform an extended solo, and seemingly impressed, starts guiding him. As the solo ends, the two share a look of approval and the finale is cued in, as the credits start appearing, drawing the film to a high-spirited close. Now, in order to analyse the ending, we must understand the circumstances that led to Fletcher willingly sabotaging Andrew and his act on stage. 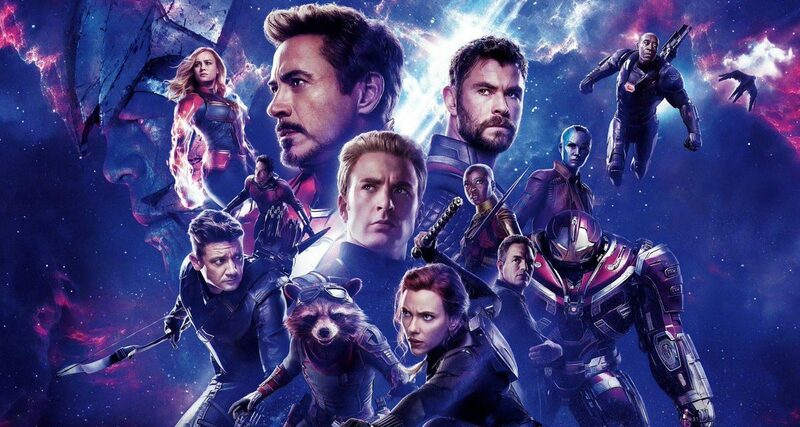 There are mostly two polar theories as to why that happened, and we are going to spend some time on both to fully understand the gist, the emotional core of the film, and the possible message it sought to purvey. Before we begin delving into the first theory, it is fairly obvious that Fletcher knew Andrew had testified against him well before the two stumbled into each other at the Jazz club. Now, the first theory, the simpler one, states that Fletcher invited Andrew to play for his band in a bid solely to exact revenge from him for the dent in his reputation caused due to his dismissal from Shaffer. In that, Fletcher would come off as a vile creature, a bad teacher and just an overall horrible person for pulling that off, knowing that the JVC Jazz Fest would have the who’s who of the music industry among the audience, not to mention the line-up of the very best musicians across the Big Apple. An embarrassment on stage and a faulty performance in the evidence of such stalwarts was bound to completely derail Andrew’s career before even taking off, but instead Andrew uses the opportunity to bounce back and gives Fletcher a taste of his own medicine. The tension the two share at the beginning of the piece is maddeningly high, as Andrew mouths ‘f**k you’ staring deadpan into Fletcher’s eyes, and Fletcher retorts profanely by threatening to gouge out Andrew’s eyes. As ‘Caravan’ progresses and Andrew proves his brilliance on stage, impossibly so, Fletcher develops an admiration for Andrew. He might still be mad at him, but as an artist, he now respects him and his resilience as he sees Andrew not give up, continuing to wow the audience, despite the kind of move he’d just pulled off on him. The admiration paves the way for total submission for Fletcher, who now seems to be happy guiding Andrew and the band, and letting him take centre stage. However, even as the core of ‘Caravan’ ends, Andrew continues playing a solo in a bid to secure his position among the stalwarts, a won over audience, and most importantly, Fletcher. While the film doesn’t delve into what happened in the case of the former two, we see the latter share a smile of approval with Andrew as his solo ends, while the camera skilfully conceals Fletcher mouthing “well done”, adding to Andrew’s visible glee as he continues his stellar performance as the film closes. Simply put, Fletcher, who initially planned to exact revenge from Andrew in the most colloquial sounding sense softens his stance as he sees Andrew defy odds and deliver a performance that won over everyone. For understanding the second, more interesting theory, albeit slightly less probable, I would like to retrace our steps back to the conversation between Andrew and Fletcher at the Jazz club, which also sheds a light on one of the most important, deeply contemplative questions the film raised for me, as to the meaning of true greatness. While narrating the conditions that lead to his dismissal from the school, Fletcher laments people not understanding what he was trying to achieve through his extreme methods at Shaffer. He narrates the story of how Charlie Parker “became Charlie Parker”, when Jo Jones threw a cymbal at his head, mid-performance, humiliating him in front of an important audience. Charlie Parker didn’t give up, practiced harder, and bounced back with a solo performance that instantly found him a place within the greats, reiterating the validity of his methods in pushing people to perform beyond what was expected of them, in the hope that they would deliver. The deliberate act of inviting Andrew to play with him at the fest and opening with a piece Andrew didn’t know was metaphorically Fletcher’s act of “throwing a cymbal at his head”. Similar to Charlie Parker’s incident, Andrew, despite the humiliation is able to rise up and deliver the best performance of his life, again reiterating the latent belief Fletcher always had in Andrew, providing the necessary push for him to attempt his leap to greatness. Fletcher knew or at least hoped that things would happen the way they did as a necessary way to test out Andrew if he could be the next Charlie Parker or Louis Armstrong and his resolve of becoming likewise, knowing that the “next Charlie Parker would never be discouraged”. The stringency of his methods combined with a burning hatred towards Fletcher was able to push Andrew to deliver, and deliver he did. In that, the nod of approval the two share at the end of Andrew’s solo becomes Fletcher’s seal of approval for Andrew, something that Andrew worked and longed for since the beginning of the film. 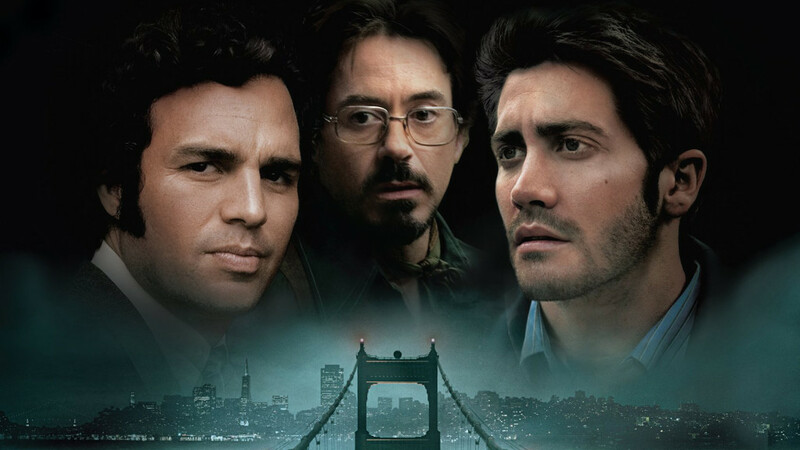 The two central characters in the film, Andrew Neiman and Terence Fletcher appear with little redeemable “human” qualities about either of them, except their talent, will and determination to push themselves harder in the pursuit of something greater. However, it is more than these similarities that binds them. Quite possibly, Fletcher had an admiration or at least a belief in Andrew’s talents masked beneath a tough and abusive exterior in an attempt to hone his skills, which is also evident by some leeway he seems to provide Andrew in the first act of the film, as opposed to his other students. He also laments at one point to Andrew about never finding “his Charlie Parker”, but that he tried at least. Andrew on the other hand probably senses that, is dangerously smitten by Fletcher, and is even willing to endure abuse at his hands, constantly working to impress him. It is clear that in his pursuit of becoming a great musician, he held Fletcher at a very high regard, and that his approval would matter a lot for him. He only gives in and testifies against him when Fletcher’s decrepit attitude completely breaks him in spirit. He even tries to refute his methods during that conversation at the Jazz Club saying that pushing beyond a certain line could discourage the next Charlie Parker from ever attaining greatness, to which Fletcher retorts saying that the next Charlie parker would never be discouraged, furthering Andrew’s appreciation for him, and with that, his will to impress him. Apart from proving his worth as a musician to himself, Andrew sees Fletcher’s favour or approval as the unattainable goal that pushes him to practice harder and be more of what he was. Fletcher’s methods seem to work here, even dangerously so, because they are too similar to each other for their own good, allured to each other for all the wrong reasons. For this reason alone, Fletcher’s final nod of approval brings a wide grin on Andrew’s face, despite being duped over minutes ago, at least in his own opinion. It is an acknowledgement of Fletcher’s methods by Andrew, irrespective of either of the two theories conspiring said sequence of events. The look on Jim Neiman’s face says it all. For some, it might be a look of pure surprise at the realisation of his son’s talent. For me, it was akin to a look of horror, seeing his son having become the same cold monster that Fletcher was in a number of ways. With the finale explained, we attempt to end the writeup with the very question we started. Through all our discussions, it is, by now, clear that Fletcher did indeed soften his stance over Andrew and recognised him as an artist with calibre towards the end. Andrew too managed to be the star of the night and stole the show by pushing himself to do what he normally wouldn’t. Taking these facets into account, the consensus would be that in all their destructive and dangerous connotations, Fletcher’s methods did prove productive and do seem to produce results, at least in Andrew’s case. Of course, the morality of his actions, including hurling a chair at and repeatedly slapping Andrew, more verbal abuse than one could possibly endure, and mental pressure and trauma, are definitely under question here, but the kind of gratification one might derive from its ending should surely be construed as dangerous, since it seems to be the norm today in most workplaces and institutes of higher education. The conversation between the duo at the Jazz Club was the single most enlightening piece of dialogue I had heard that year. A dialogue from the conversation that particularly has my attention and appreciation reads as follows. While the internet and virtually all social media sites with it make it a point to frequently throw inspirational quotes about working harder and dedication regularly in your face, it is widely understood that success or any of its close relative terms are associated with that extra bit of effort from an individual’s end, but that is in no way to be superceded as normalisation of abuse. ‘Whiplash’s ending too is cinematically brilliant and adrenaline fuelled throughout to make you believe that it’s a warm and fuzzy close to the film, while on the contrary, it might not be. The mutual exchange of approvals and acknowledgement between Andrew and Fletcher came at a cost, especially for the former. Terence Fletcher is bound to feel inherently happy on the discovery of a possible protégé, giving him all the affirmation he needed about the correctness of his methods, and the tyranny would continue. 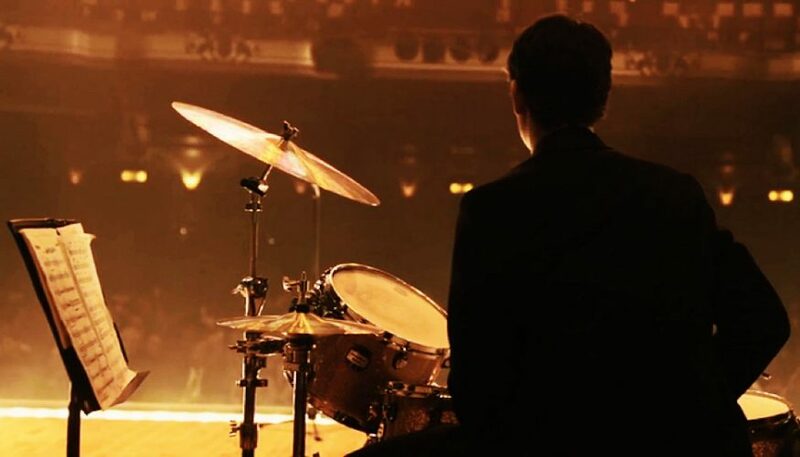 Conversely, I couldn’t help but realise that the Andrew who sat on the drumsets in the finale was different from the Andrew who sat alone practicing in a room at the beginning of the film. It is vastly dependant on individual perspective if you are to consider this growth, but the look on Andrew’s father’s face in the end might tell you otherwise, in a sense that a pertinent loss of innocence for Andrew is vastly evident. That should give your brain enough fodder to think about the question we started off with. No genre of music, to me, is perhaps as alluring as Jazz. It is hard not to appreciate an ensemble of dedicated artists and musicians coming together for a piece so carefully constructed in precision, every note in perfect unison and synched to perfection, not to mention increasingly pleasurable to the ears. I may not be wrong in thinking that Jazz would be one of the few genres in music that is able to encompass such a diverse range in tempos, from soulful pining numbers to even eclectically charged dance numbers. I am no musician, neither an insider to the hardships associated with Jazz as a genre, but I know good music in films when I hear it. I have zero reservations in admitting that ‘Whiplash’ is the film that it is owing to its incredible music and its compositions, and the intense staging and filming of those scenes. All that when ‘Whiplash’ isn’t even constructed as a through and through musical, very much unlike ‘La La Land’. Justin Hurwitz, suffice it to say, has my respect for ‘Whiplash’, and the other two Chazelle directorials that got the world talking, ‘La La Land’ and ‘First Man’. The only film composer who gives me the same kind of hope Zimmer and Desplat have given for so many years, Hurwitz’s score for ‘Whiplash’ comprising of Jazz classics to swear by and groovy new tunes elevates an already extremely well made film to a status that can be considered nothing short of legendary in the current cinematic climate. 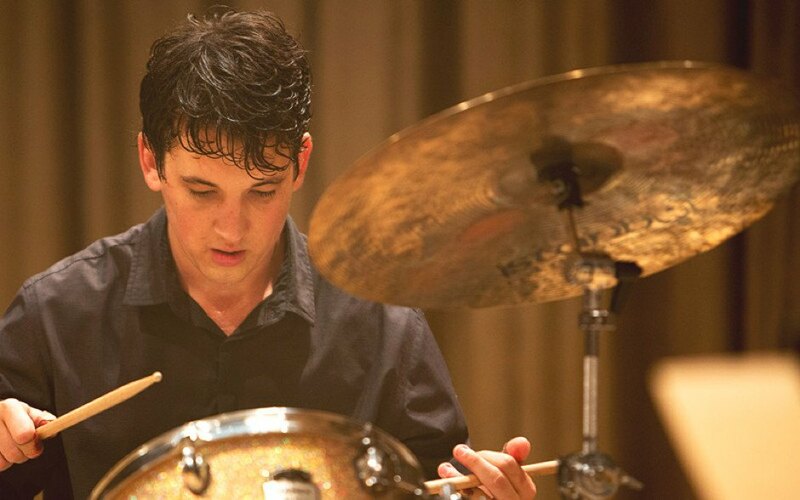 However, among a string of gems, I have to mention the genius of two musical pieces performed for the film, ‘Whiplash’, originally composed by Hank Levy and lending the film its title, and ‘Caravan’, originally composed by Juan Tizol and Duke Ellington, also forming an important part of the film’s narrative. All the respect to the actors for pulling off their best performance faces, especially the five-minute long drum solo in the finale on the tunes of the latter. Both ‘Whiplash’ and ‘Caravan’ are terrifically performed here, lending much of the manic energy that drove the film. Not to mention, Fletcher’s interruptions for the band’s practice of ‘Whiplash’ for tempo correction, (“Not quite my tempo!” and “Were you rushing, or were you dragging?”) will forever scathe the anxious viewer in me, but the fully realised pieces in the film, are both a visual and aural treat.